Recently, I blew a power steering hose on my 318 only to find I had no fittings to make a new one. 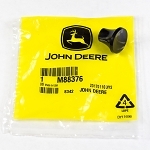 I have sold hundreds of these hoses over the past several years and was all out of hose ends! 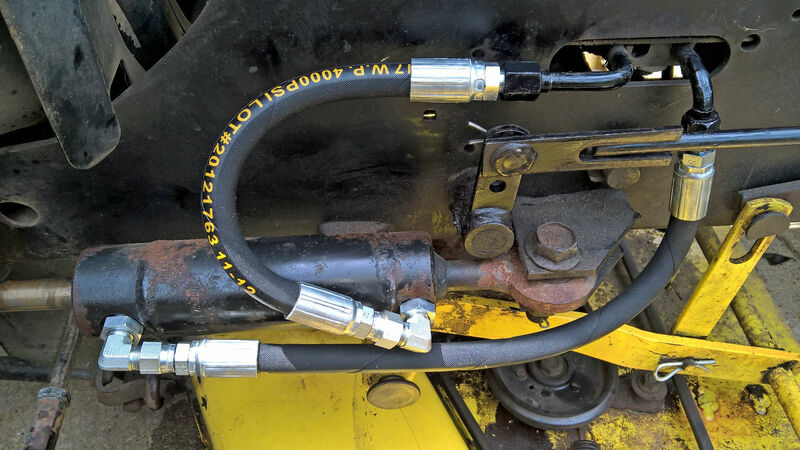 The original hoses are made from 1/4" ID hydraulic hose. The end that screws into the steering cylinder is pretty special and has a long lead time. So, I started digging. I found I had the correct fittings for the larger 3/8" hose, so I made two new hoses. After installation, it was back to mowing. I fired up and headed back to the yard. To my surprise, the steering worked better than ever. The tractor was easier to turn and responded quicker! Well, I had to understand what was going on and started thinking about how the steering worked. I began to surmise that the hydraulic steering on these tractors is really a low pressure high flow system. Doesn't take much pressure to turn the wheels, but the fluid must flow quickly for the steering to be responsive. I looked at the difference in the hose ends between 1/4" and 3/8" and realized the 3/8" hose end is way bigger than the 1/4" hose end. So much bigger that it makes a significant difference in the performance of the tractor. The difference is so significant, I no longer offer the original size hoses. This is for TWO hose assemblies.